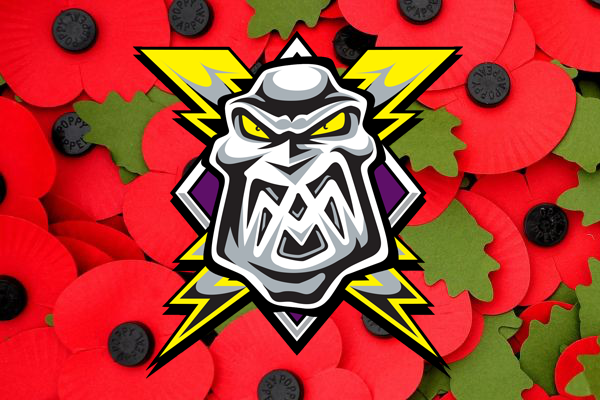 Your Go Goodwins Manchester Storm have two home games in two nights this remembrance weekend against the Dundee Stars on Friday (F/O 7:30pm) and the Braehead Clan on Saturday (F/O 7pm). To mark this important weekend, all service personnel, both active, reserve, and retired, along with Cadets and Scouts, will be able to purchase their tickets for just £5.00 when they produce their relevant ID. On top of this, all kids (aged 16 & under) can attend the games for just £1.00! 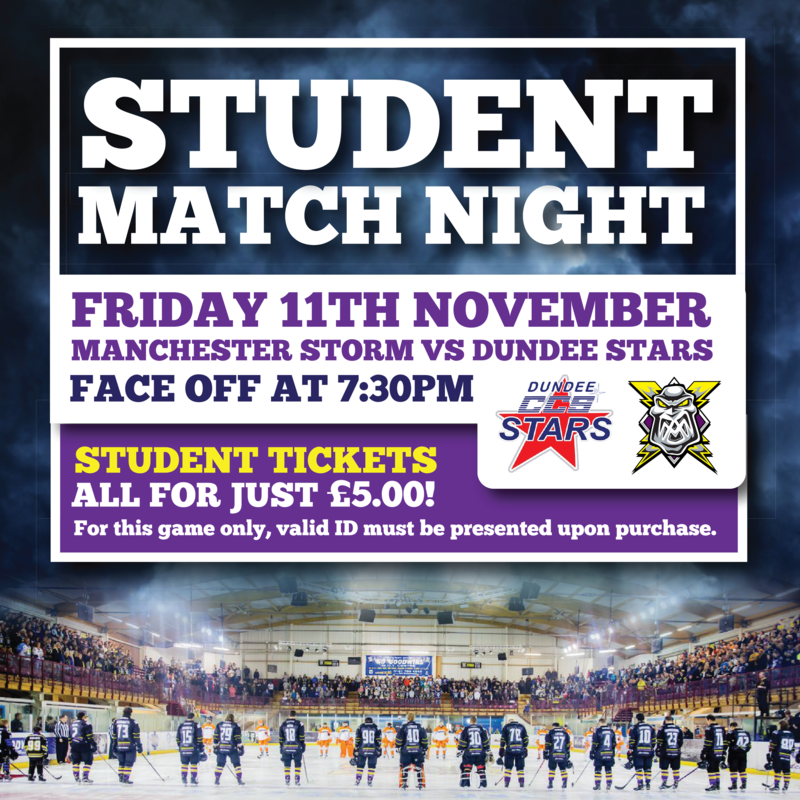 Not only this, but we are also offering ALL students entry for £5.00 for Fridays game against the Dundee Stars (F/O 7:30pm)! 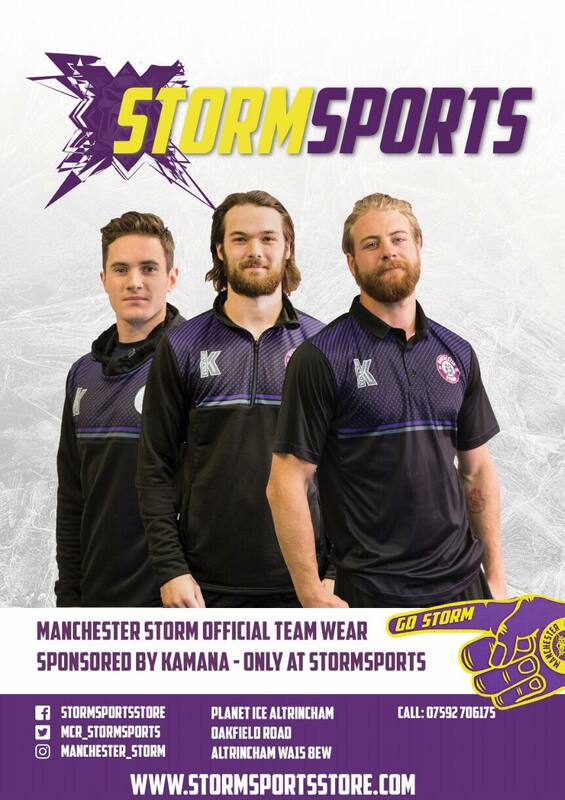 PLEASE NOTE: This offer is not available online, and must be purchased in-person at the Box Office or over the phone by calling 0161-926-8782!